Bartlett, secretary to Mrs. Huntington, writes to approve the design for candlesticks and to ask if they can be made hollow as Mrs. Huntington wants to use them with electricity. 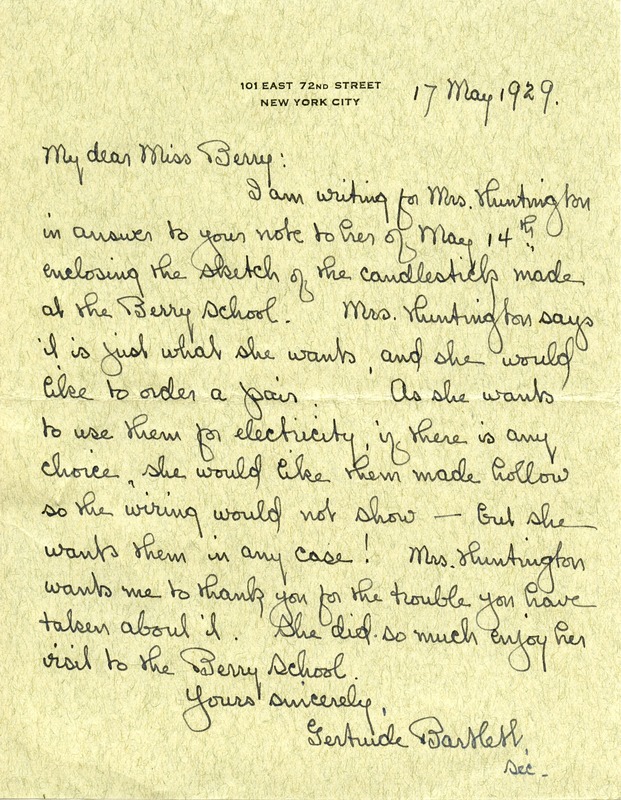 Gertrude Bartlett, “Letter from Gertrude Bartlett to Martha Berry.” Martha Berry Digital Archive. Eds. Schlitz, Stephanie A., Sherre Harrington, et al. Mount Berry: Berry College, 2012. accessed April 18, 2019, https://mbda.berry.edu/items/show/9493.